The Miami Heat better listen to their fans who overwhelmingly are screaming, “Pay the man.” The man is Dwyane Wade, the man who has given this city everything. His blood, his sweat, his tears. The man who has had a hand in every single one of the Heat’s championship parades down Biscayne Boulevard. Right now there is a divide between Wade and the Heat. What is best for Wade is not necessarily what is best for the Heat, but Wade has always done what was best for the Heat and trusted that when the time comes the organization would take care of him. The time has come. It is hard to fathom that, after everything Wade has done for Miami, it is possible that other teams could value Wade at the end more than the Heat does. Imagine Wade in another uniform. You can’t? Me neither. That would be a sickening sight for Heat lifers to use a term that Mr. Heat Wade himself coined. Before you naysayers start with your objections there are many things about the greatest athlete in the history of South Florida sports that you need to remember. I know Miami sports fans love them some Dan Marino, but Marino never won a championship and put his team at the very top like Wade did. Nobody has sacrificed more. A pro athlete like Wade is so rare in this ego driven industry. How many of you would have handed the number one spot at your job to another individual the way Wade gave the keys to Lebron James? Folks just do not do that. Truth according to a reliable source it was Wade, not James, who by himself kept Udonis Haslem in Miami. Wade went to James with the idea of taking less money to include Haslem. James refused. The Heat couldn’t figure out a way to make a competitive offer to Haslem within salary-cap constraints until Wade volunteered to take that salary hit alone. It is why Wade was paid millions less than Bosh and James — one of the sacrifices Wade would make on behalf of the team that he evidently would now like reimbursed. Again I ask, who does that? What a selfless act indeed. So what is Pat Riley and this Heat organization going to do? They can ill afford a PR nightmare on the heels of LeBron James leaving them at the altar and returning to his first love Cleveland. 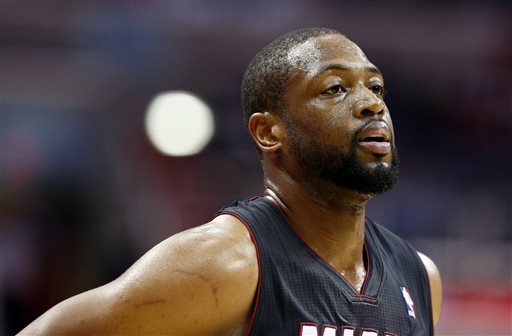 The Heat seem to believe the market will not pay Wade what Wade believes the market will pay Wade. What if they are wrong? 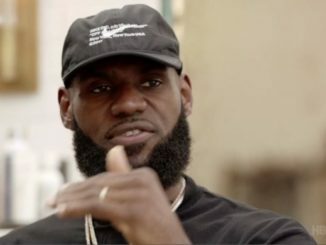 What if someone makes a hard push for Mr. Miami Heat? Then what? Do I have the answers? No, I do not. That is Pat Riley and Mickey Arison’s job. This story has made national headlines. People are asking questions of this proud franchise that no one ever could envision. Sure, the Heat want to keep Wade here but not at the crippling expense of all future flexibility. The Heat it seems would prefer Wade to opt into his contract for next season at $16 million, then become a free agent and basically trust them all over again. Once again they want the best player in franchise history to sacrifice for their and allegedly his benefit. The Heat’s greatest player has never been it’s highest paid player. Miami is eyeing the future possibly a run at a player like Kevin Durant. We all know that guy who always wants a loan but never pays it back. I think the Miami Heat need to come up with a plan rather quickly that will appease Wade. Their line of credit has expired. Pay the man. Give Wade his money and figure it out from there. Wade has always done right by Miami. Now it’s time the Heat do right by him. End of conversation.